Cross border collaboration is helping scientists in Serbia, like researchers Dr Saša Orlović and Dr Dejan Stojanović, to open the doors of cooperation with their colleagues around Europe. Serbian scientists are starting to see an improvement in their situation thanks to cooperation and collaboration with their counterparts across Europe. Dr Saša Orlović and Dr Dejan Stojanović are two researchers who are reaping the rewards of more contact with academics like them from beyond their borders, thanks to help from COST. Events in their country’s recent history have meant that opportunities for improvement and knowledge exchange for Serbian scientists have been limited at times. Serbia is not a member of the European Union, meaning that aspects of scientific life possibly taken for granted elsewhere, like studying in and travelling to other countries, can be more difficult. But becoming part of several COST networks in recent years has opened doors to Dr Orlović and Dr Stojanović. “Since Serbia is still not part of the EU, we have fewer scientific and travel opportunities compared to colleagues from EU countries,” says Dr Orlović. The Institute has taken part in different COST networks over the last decade, with the most prized fruit of their endeavours being Serbia’s first Dendrolab at the university. It’s a laboratory for tree ring research based around a system called ATRICS that scans tree cores in very high resolution. The lab possesses several tree core borers, including a unique one-metre long device for extraordinarily old and thick trees. It was inspired by Dr Stojanović’s first short-term scientific mission to the Slovenian Forestry Institute in Ljubljana in 2013 as part of the COST Action ‘Climate Change and Forest Mitigation and Adaptation in a Polluted Environment’. Dr Orlović is a big believer in empowering young researchers to take part in training schools and scientific missions to mature in the industry, and learn from new cultures and individuals. 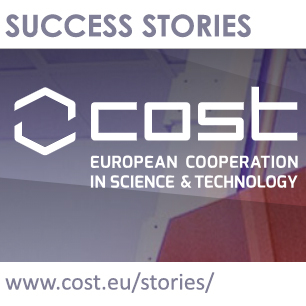 COST supported the Institute through working group meetings, training schools and short term missions as well as financing a training school and one of the Management Committee meetings in the Institute at Novi Sad. “It is crucial to have the opportunity to challenge your ideas and scientific work concepts with people who excel in your specific field,” he says. “It can save months if not years of hard work.” Much like the tree rings studies, time will inevitably reveal just how important that collaboration has been.